Every week Imprint kids hear the GOSPEL of Christ and are encouraged to live a life of GRATITUDE and GENEROSITY in response to Jesus’ great love for us. 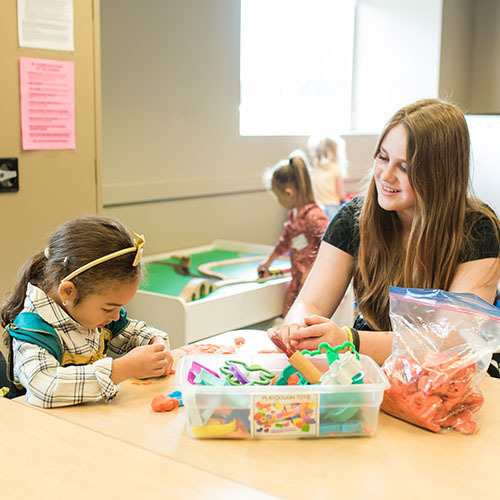 Our welcoming classrooms are designed to engage all ages of children through fun Bible activities and learning. Our goal is to teach our kids that we serve a God who loves them and can make a difference in their lives. As we partner with our families, together we can lead our kids to Jesus and help them live GRATEFUL and GENEROUS lives inside and outside of church. This room is open to all families with babies! As babies are always welcome in our auditorium during our gatherings, we all know there are times when parents need a quiet comfortable place to feed their baby, to change their child’s diaper, to play, or to console their child in a calm setting. Here, you will find almost anything that you would require to meet your child’s necessities in those moments. Please ask if you need assistance in locating it! Our Nursery/Toddlers room is for our littlest learners and explorers. This room is equipped with loving, caring teachers who are ready to care for your child while you attend our gatherings. Most of the morning is spent bonding, playing, singing, and sometimes we even create a craft that goes along with our Bible story for the month. This sets the foundation for what they will be learning as they grow in our Imprint Beginnings Ministry. Preschool is focused on taking the foundation the children gained in our toddler room and creating a larger learning experience. The 3 focal points of our curriculum are (1) God Made Me, (2) God Loves Me, and (3) Jesus Wants to Be My Forever Friend. This initial preschool room has age appropriate activities, worship, Bible stories, crafts and a monthly memory verse. We believe that even our smallest kiddos can discover great biblical truths while having fun. Our final Pre-Kindergarten room uses the same Preschool curriculum, but we have expanded their worship time. The focus is still on (1) God Made Me, (2) God Loves Me, and (3) Jesus Wants to Be My Forever Friend. This room has age appropriate games, worship, Bible stories, crafts, memory verses and we begin small group prayer time. Our sweet pre-kindergarteners love the bright room and fun environment that makes church fun and relationships easy. Build faith in God’s Word and creating trustworthy relationships in the age group is beneficial to spiritual growth and development. 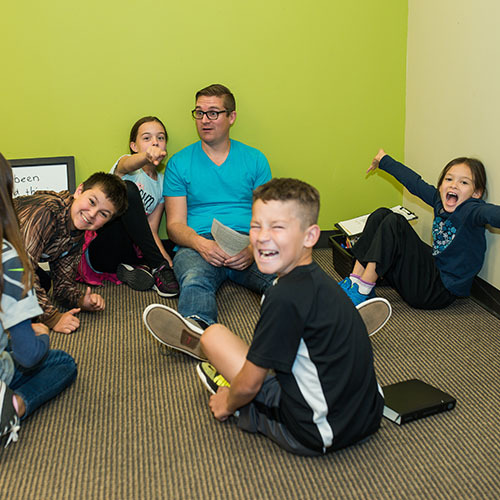 Our elementary aged kids will enjoy our fun-filled classroom where they will journey through the Bible with the Gospel Project in large and small groups. They will learn foundational biblical knowledge as they discover who Jesus is and that He is the ultimate hero from Genesis to Revelation. Each week they will encounter new Bible stories, worship, memory verses, games and crafts that relate to the Bible stories. Small group time is also a key component to growth with this age group. During this class, we strive to increase your child’s knowledge of the Bible and how it relates to their lives, so that they can begin developing a relationship with Jesus. We also prepare your kids for the transition from Imprint Kids into Imprint’s Student Ministry.